Wearables are the hottest technology and what makes them so? Unarguably, it's the app that brings the world of information to them and enables them to connect and manage things in ways never imagined before. Here is what to keep in mind while developing a wearable app for watchOS. Wearables have a different screen type and size and, hence your UI-UX designers and developers need to change their approach. It shouldn't be the same as iPad or iPhone app development. The design must make users feel at home by offering icons and design patterns that are already familiar to the users. Also, they should be mindful of the scanty battery and low processing power of the Apple Watch. Programming technologies of watchOS are quite different. The related resources are aimed at keeping the application lightweight but agile and stable. The functional code must support advanced interactions and allow users to rapidly access the app or device features and functionality. 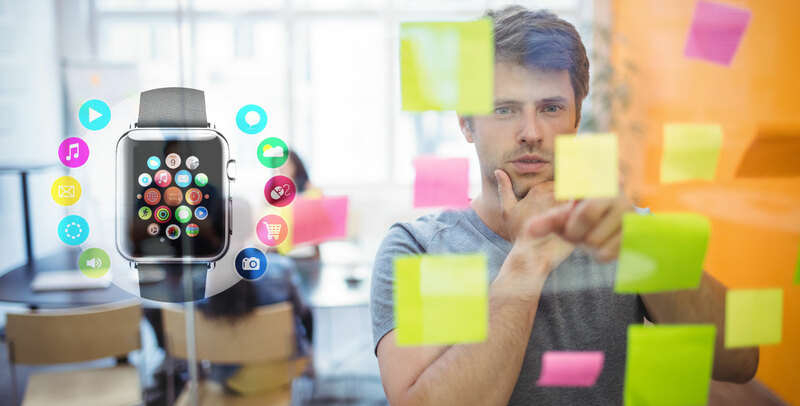 Wearable app development for Apple Watch demands formulation of specific app architecture based on use cases and contexts apps are in use. Developers often need to play with different APIs pertaining to health and fitness apps or services like Fitbit, Runkeeper, Strava, Jawbone, etc. Specific attention should be given to their integration to ensure seamless data transmission between the two. As wearable apps is a new market so not too much app testing methods and resources are available. Hence, wearable app development companies often have to devise their own methodologies and build related capacities to ensure their app deliver a better experience to others. No other digital device enjoys the proximity to human as does a watch. And when something is closely associated, users are likely to engage more with it and rely more on it. so, the app development must be pursued with this in mind. Hence, you must hire the right talents who can make the most of the development resources like WatchKit and deliver the right product.